Make is an extension of the Melt Shop brand. 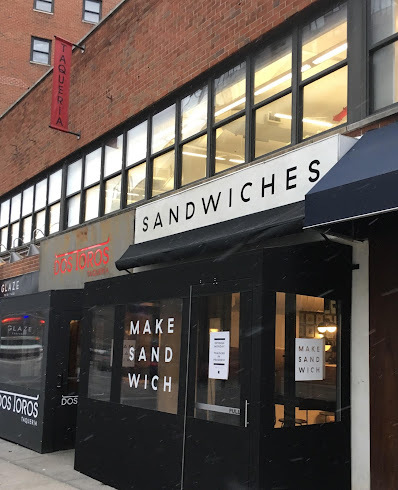 Here's their pitch via Facebook: "Make Sandwich serves uniquely classic sandwiches and quality make-your-own ingredients with NYC hustle." The previous tenant, Desi Shack, the quick-serve Indian-Pakistani restaurant, closed in April 2016 after less then two years. So, not a Melt Shop. Make Sandwich is from the Melt Shop partners plus Bark Hot Dogs. Its a new concept. Thank you for the clarification. I had it wrong and amended the post. 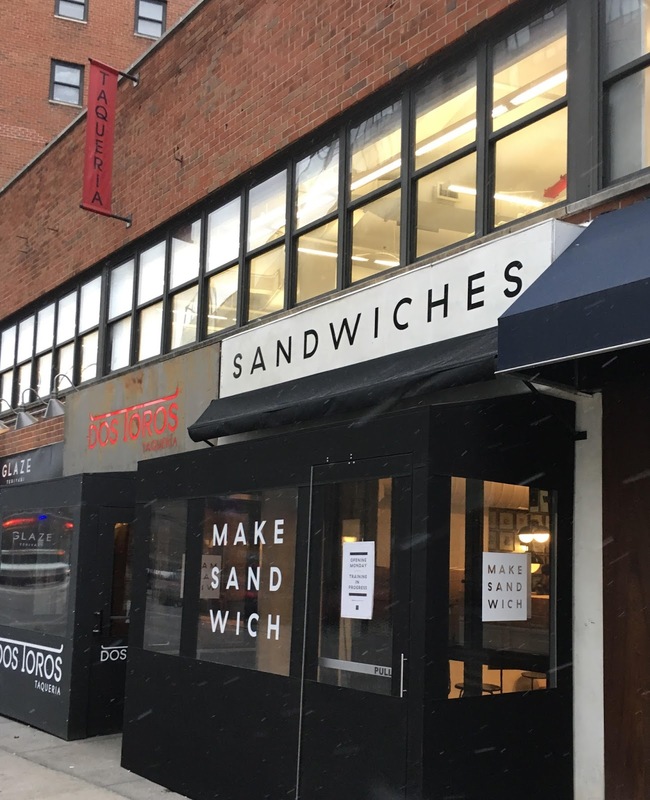 "Make Sandwich serves uniquely classic sandwiches and quality make-your-own ingredients with NYC hustle." Eight bucks for a sausage egg and cheese? 11 and 12 for most other sandwiches? Well, I suppose it's not intended for us anyway--it's for the office workers around Union Square. But still. Sandwich inflation has arrived in full force. Their sandwiches are actually very good! They probably are very good...! I don't want to make my own ingredients. Especially when I'm ordering from a restaurant. NY hustle. Does that mean I have to play a game of Three Card Monte before I can get a sammy? Where do people come UP with this twaddle? 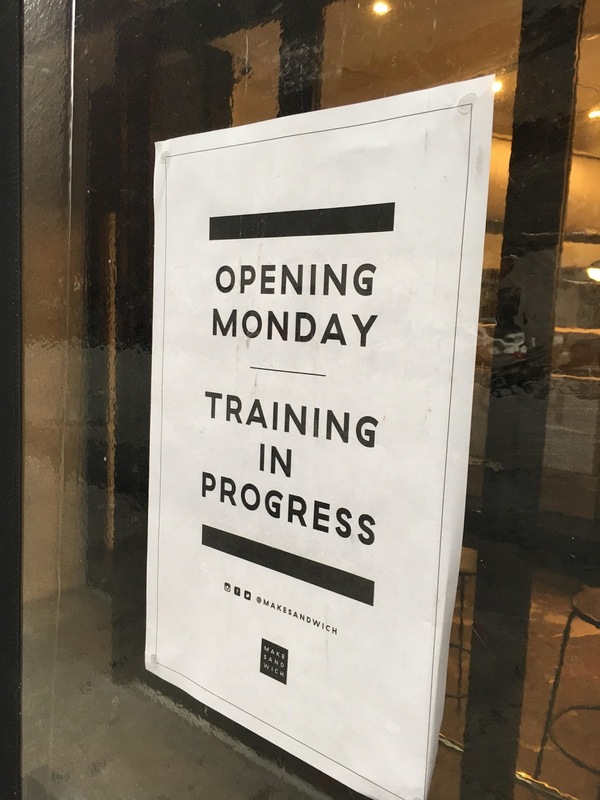 I can only imagine standing in line at this place listening to customers (or guests as corporate America has anointed us) asking about every ingredient, is it organic, can I sample the cheese first, etc... There is menus exist, to keep things going smoothly. It's all about innovative BS! Desi shack was awesome. Real sad to see them go. Make sandwich? who named this, Frankenstein's monster, Tarzan or Tonto?